Psalm 27:4 My heart says of You, "Seek His face!" Your face, Lord, I will seek. This year I have been reading the daily devotional Jesus Calling by Sarah Young. I love the title of this book! Jesus Calls us every day to seek His face. This book is about putting yourself in Jesus' presence on a daily basis. When we do this, we experience His peace, His guidance, His comfort, His shelter, and so much more! I have found that there are many days when I am struggling to trust God's plan and I am feeling down. These kind of days are hard to remember that God is still on the throne and that nothing is catching Him by surprise. He sees tomorrow and we have no reason to fear or worry. 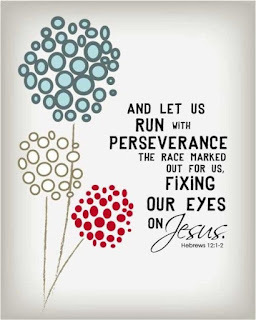 I find great encouragement in seeking His face, because when we seek Him, He WILL be found! 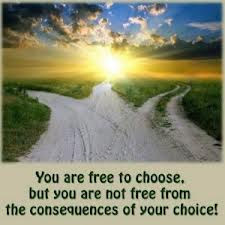 Every decision has a consequence....good or bad. Last night I had the awesome privilege of leading a young man to Christ. Sometimes you wonder if the teens ever really hear what you are saying. They sometimes act like they don't care and nothing matters, yet somehow it sinks in and God works! I am praying for my young friend, as his Mother was not as thrilled for him as he was to tell her about it. I forget sometimes how hard it is for teens these days to stand up for truth. I rejoice in God's word that He says "My salvation will last forever. My righteousness will never fail." 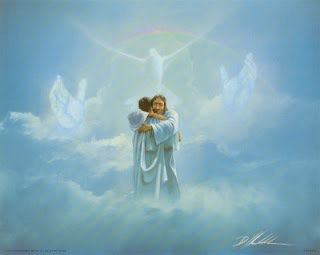 (Isaiah 51:6b) No one can take that salvation away. I am praying for continued faith for this young man and for his Mother to be drawn to Jesus as well.